Tobacco is still the #1 cause of preventable death in the United States – and in New York City; yet, since 2009, resources for tobacco control in New York State have been cut by half. 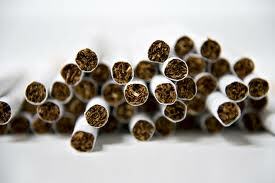 New York State currently spends less than 20% of the amount recommended by the CDC for tobacco prevention. 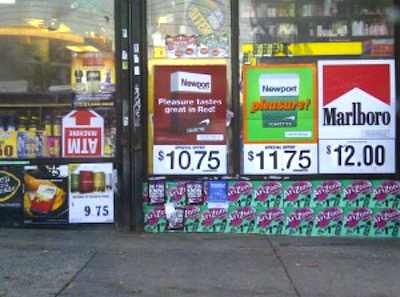 At the same time, the tobacco industry’s spending for advertising and promotion has reportedly increased to $8.8 billion nationwide, with $213.5 million spent in New York Stat e. We know that constant bombardment of tobacco marketing makes it difficult for current smokers to quit and thwarts progress to de-normalize tobacco use. Despite the fact that adult smoking rates in NYC remain lower than the national average, it is abundantly clear that we have our work cut out for us, and no one action will work alone. The rising smoking rates are a harsh reminder of our fight against predatory practices of an industry whose products kill millions of people every year. In order to change social norms on tobacco use, only a sustained comprehensive approach to tobacco control can effectively make a difference. This entry was posted in New York City & State Efforts, Public Health Issues, Tobacco Control by nycsmokefree. Bookmark the permalink.